Love is in the air! Let us help to make your Valentine’s Day sweeter! We’ve teamed up with a lovely group of Disney bloggers to bring you this cute giveaway! 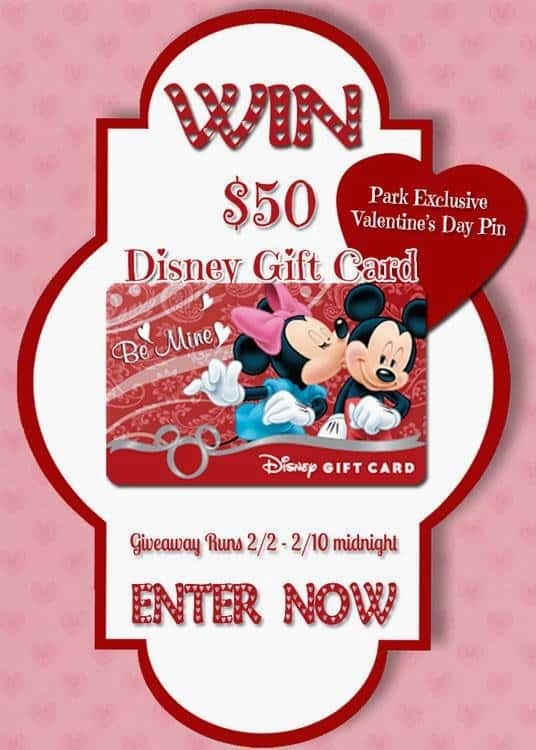 The winner will receive a $50 Disney Gift Card and a Disney Parks Exclusive Valentine’s Day pin! To enter the giveaway, use the Rafflecopter below or use the giveaway tab on our Facebook page . Giveaway runs from February 2, 2014 until Monday, February 10th, 2014 at 11:59PM EST. Come back daily for more chance to win! To officially accept the prize the winner must reply by email within 48 hours. Make sure that you provide an email address that you check regularly. I would spend the Disney gift card when I go to Disney in the fall! On food and mementos! We are busy planning our next Disney vaca in June!!! Thank you for the giveaway! I would put it towards our next Disney Vacation! I would save it to use for our upcoming trip! I am saving for a Disney cruise. I would buy princess merchandise for my daughter. We are going to Disney World in the fall – so I would save it to spend there! I would love to win this Disney gift card to use on our summer trip. I would use it towards my daughters first Ariel's Grotto character lunch. I would buy something for my grandchildren if I won the gift card. I'd use it to buy some goodies on our trip in June. Have a Disney Vacation coming up in just a few weeks! If I won this would go towards funding my next Disney trip, or blowing it all on vinylmations! I'm hoping to go to Disneyland in October, I'd use it then. I would use it to treat my nephews to t-shirts from magic kingdom in May!! I would use it toward my next vacation! I would save it for my next trip which I am hoping will be in 7 months! I'm trying to plan an upcoming trip tio Disneyland for my daughter's birthday so this would come in very handy. Thanks for being so gracious. Hmmmm either out next Disney trip or at the Disney Store for my son's birthday. For our next trip to Disney! I could so use this on food in the parks when we go in Oct since we can't do a dining plan because we are staying in a wedding block. I would use this to buy some Planes toys or clothes. Both of my boys are obsessed! That would take care of almost 2 days of food for me during my May trip to WDW! 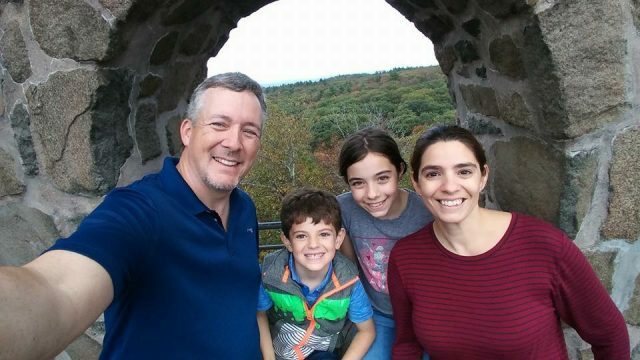 I would definitely put towards my next Disney trip – which hopefully will be with my grandchildren! I would put it towards our next trip in March celebrating my son's 16th birthday. We are going to Disney World in May and this would help a lot! I would put it toward our next Disney vacation! I would love to use this on our September trip! I would use it towards food and/or tips at Disney World this Spring! !